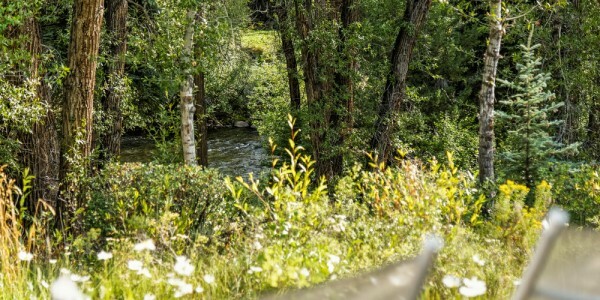 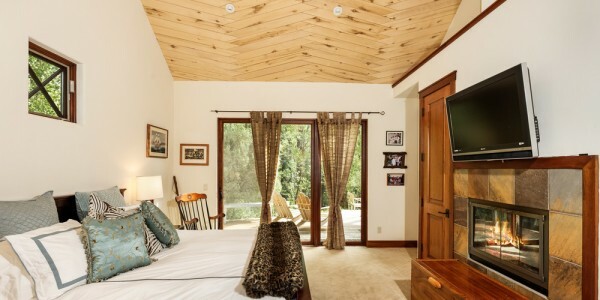 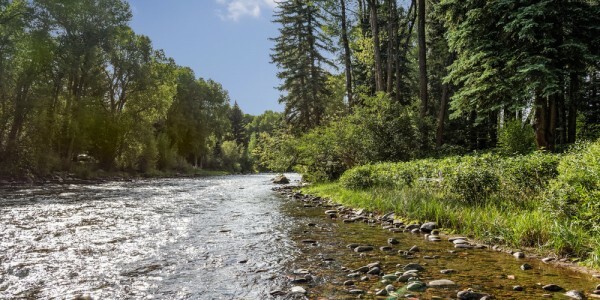 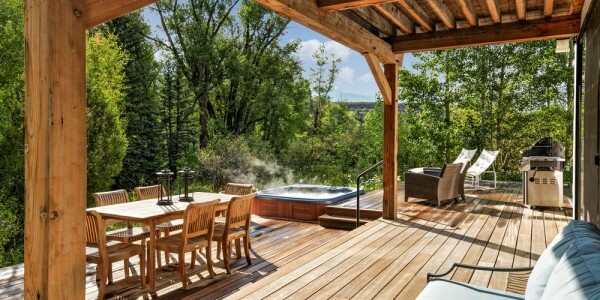 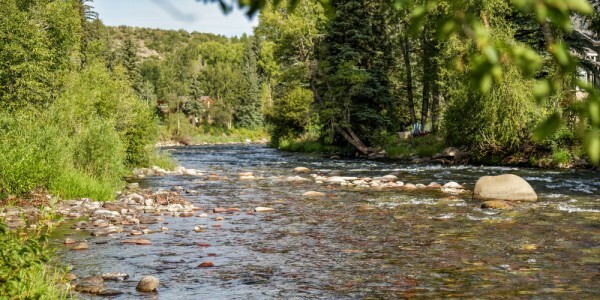 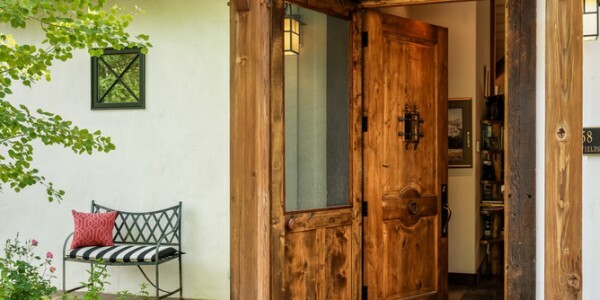 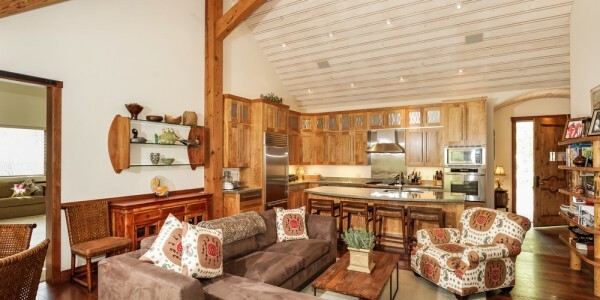 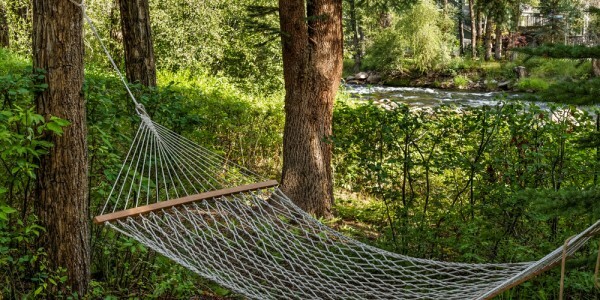 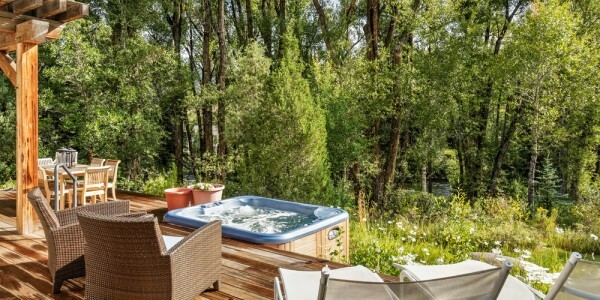 This stunning two bedroom, two bath cottage nestled along the Roaring Fork River provides a beautiful tranquil setting just a short drive to Aspen. 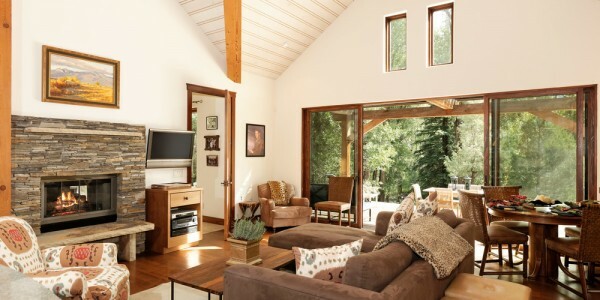 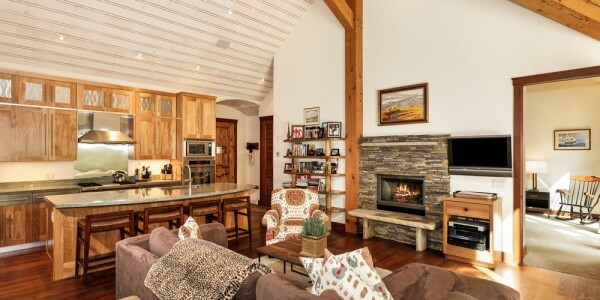 The inviting open living area highlights warm mountain interiors, vaulted ceilings, a double-sided gas fireplace and dining area for four. 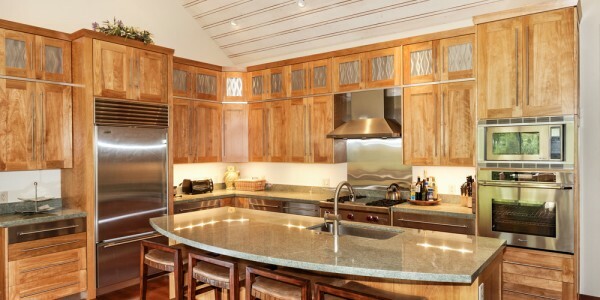 The gourmet kitchen includes a large granite island with breakfast bar, gas Wolf stove, Sub-Zero refrigerator and underlay sink. 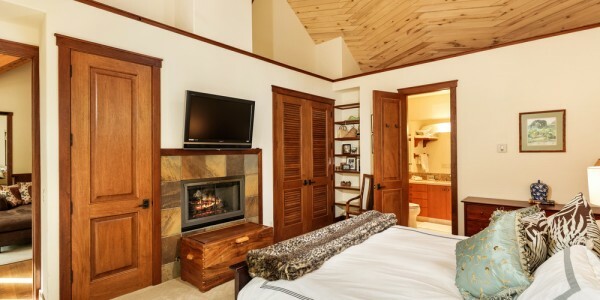 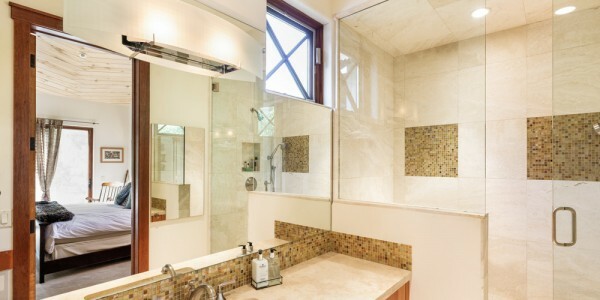 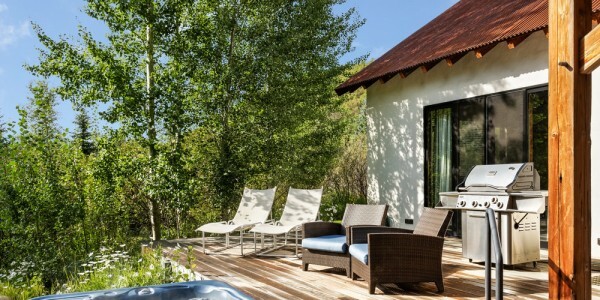 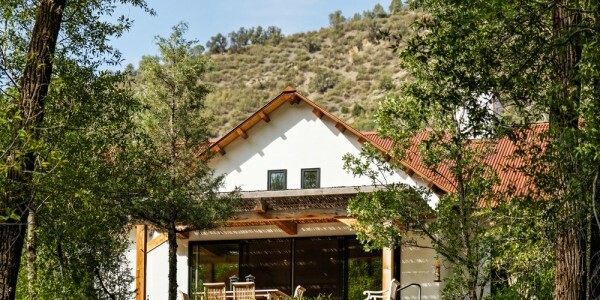 Gracefully appointed master bedroom, which shares the stone fireplace, features a King bed, Sony flat screen TV and en suite bathroom with large shower and beautiful travertine tile. 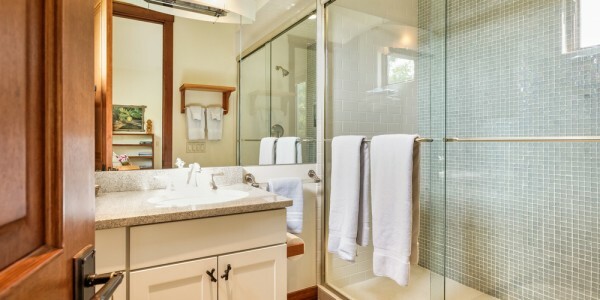 The spacious guest bedroom includes a Queen bed, sleeper sofa, day bed and en suite bathroom with granite vanity, standalone shower with classic white subway tiles and glass mosaic tile accents. 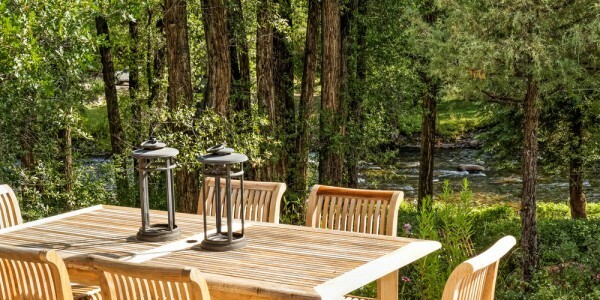 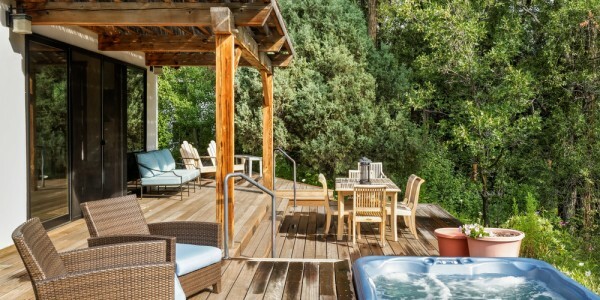 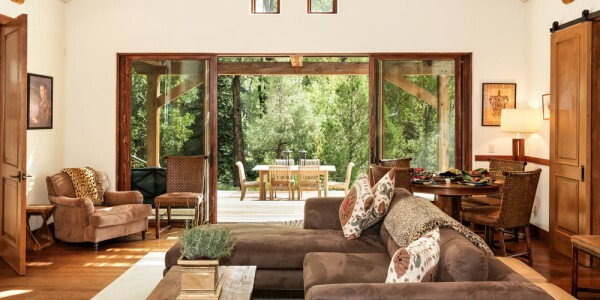 Every room walks out and enjoys the expansive back deck with hot tub, grill and abundant seating overlooking the river. 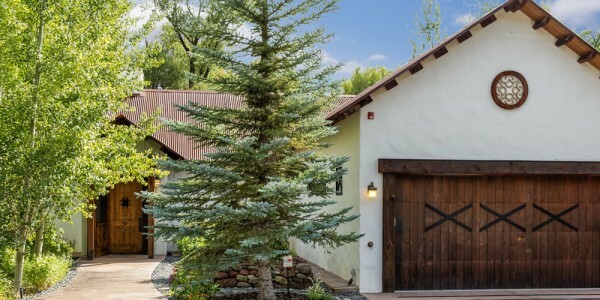 Impeccable extra amenities include a laundry room, two-car garage and abundant storage. 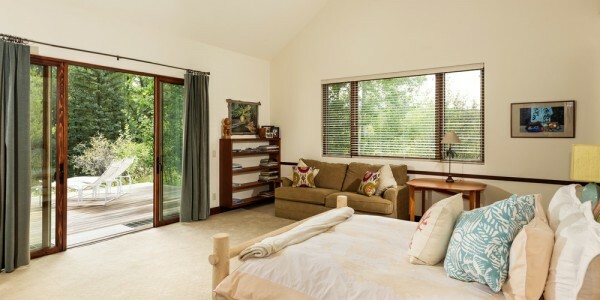 Check out the property tour!